” For the wrath of God is revealed from heaven against all ungodliness and unrighteousness of men, who suppress the truth in unrighteousness, because what may be known of God is manifest in them, for God has shown it to them. For since the creation of the world His invisible attributes are clearly seen, being understood by the things that are made, even His eternal power and Godhead, so that they are without excuse, because, although they knew God, they did not glorify Him as God, nor were thankful, but became futile in their thoughts, and their foolish hearts were darkened. Professing to be wise, they became fools, and changed the glory of the incorruptible God into an image made like corruptible man—and birds and four-footed animals and creeping things. ” Yes, they knew God, but they wouldn’t worship him as God or even give him thanks. And they began to think up foolish ideas of what God was like. As a result, their minds became dark and confused. Claiming to be wise, they instead became utter fools. And instead of worshiping the glorious, ever-living God, they worshiped idols made to look like mere people and birds and animals and reptiles. Many years ago, I used to write letters to the editor to my town newspapers. They were almost always published because the liberal editors loved the barrage of rebuttals which would pour in against me. I was shocked as I viewed the front page with it’s top story: “Wiccans in the Woods Celebrating Mother Earth.” The article was written in a way as if the paper was promoting this wicked form of false worship. The next day I called the editor of the paper. I asked him if he would consider allowing me to write a front page article on true Christianity. After telling me that this would not be possible, he offered to publish me as a feature writer -not a letter to the editor writer. He said that he would like to send out a camera crew to take my picture for the article. I agreed. There was one stipulation from me. I told him that the only way I would write this piece was if he assured me (in writing) that ALL of my words be published. He agreed. I thanked the Lord for this opportunity to share His Gospel. I wrote about the stark differences between WICCA and Christianity. I said that the Wiccans were worshiping the creation, while we (Christians) worshiped the Creator of the Universe. I wrote about our Creator’s love for each of us and how He was involved in the affairs of men and women. I wrote about God sending His Son Jesus Christ to die on that horrid Cross, to pay the debt for our sins that we could never pay. I wrote that sin separated us from a Holy God and that He wanted us to be reconciled to Him. That could only happened through His Son Jesus Christ. And so it was published. What Satan meant for harm – God took and used it for His Good, and for the good of many who read the article. If the reader has not seen the original movie “God’s Not Dead” I highly recommend it. I won’t go into the plot so as to not ruin it for those who want to watch. Love them and pray for them. There is a man on Twitter whose sole purpose for being on there is to tout his “atheism” in hopes of drawing others to his sad conclusions. I watched this man for many days. I wanted to say something to him, but it was as if God was holding me back. I felt in my spirit to show Christian love to him and most importantly to Pray for him. We are now friends on Twitter. We can write back and forth in private messages. This was during the medical scare I had recently. By the way – all tests came out benign (Thank You Jesus). The Twitter atheist and I would talk to one another about things which were going on in our lives. He is very polite and compassionate. He knows that I am an Evangelical Christian who will not budge from my deep faith. I know that he claims to be an ardent atheist. So, with that out of the way, we speak as friends. He has opened up to me that he went to seminary and that he was saved during college. He knows that my boys (grown) refer to themselves as atheists now. I feel that the Holy Spirit has led me in this friendship. I pray for this man every day – expecting God’s answer. I am hoping and praying that the Lord will bring him back. I pray for God’s will to be done in “David’s” life. But I don’t for one minute believe that he is an atheist. I believe that something happened in his life which made him bitter towards God. Brethren, I believe that many of us have these people in our lives. Sometimes, they are in our immediate families. Sometimes they are friends or co-workers. Show love to these people and do not argue with them. Most importantly, PRAY for them every single day! The arm of God is not too short to reach anyone, and that includes those who are angry with Him! Wonderful post! I know an atheist his name is Ralph, and he hates God because his child was murdered. He does not understand how a loving God can let a little child be slaughtered like his was. I keep telling him that people have free will, God cannot force people to stop doing wrong, and He cannot make them do the right thing either. Satan is the ruler of this world until God comes back and cleans it up. It is awful what happened to his child but it is not God’s fault what happened. I really do not know what else to tell him, so I just stay in contact, pray for his salvation, and keep trying to encourage him. I do agree with your point that many of these atheists are angry people because Ralph is angry, very angry at God, the world, and everything else. I am very glad that your tests came back with a good result! I will also be praying for your sons! I have a sister who has totally left everything she knows about God, and I do not believe there is anyway that she will ever get saved again, but I am still interceding for her. Great post! Do you have a person in your life who claims to be an atheist? If someone truly is an atheist, I suspect they ought not care about what someone else believes, eh? You see, it’s not enough to not believe. They have to go out of their way to destroy (almost always Christian) belief in God. Much to the point of open hostility. My question is this. How do you hate something that does NOT exist? Make no mistake brethren, this is the spirit of anti-Christ. Thanks for sharing this crystal-clear revelation of truth about people these days Sis. Geri. It’s great. May God continue to bless you in your work to witness to lost unsaved souls and the edification of the brethren in Christ around the world. Quick question for you though: What’s your thoughts on God’s Inspired & Preserved Holy Word? I only mean to mention this to strengthen you in your Faith in Christ and nothing negative. May you prayerfully seek God’s Truth in this and all matters. Thank you and may you stay blessed and safe. 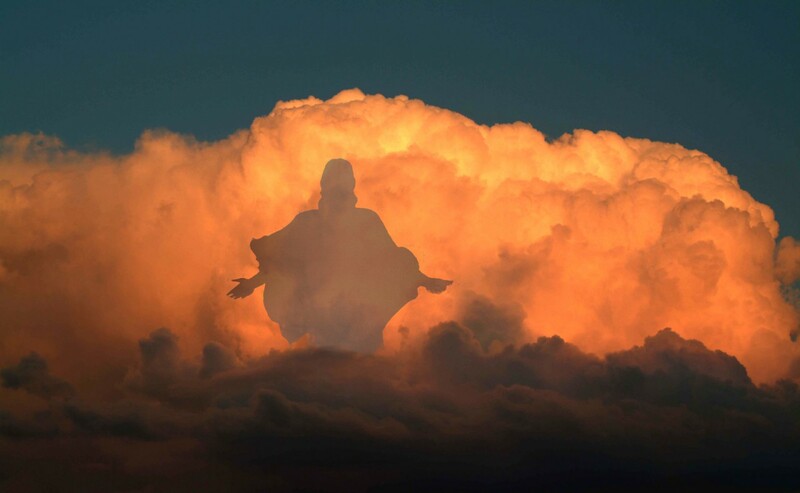 Praise Christ-Messiah Jesus-Yeshua HE is RISEN and ALIVE ~> ( https://kristiann1.com/2016/03/10/jyche/ )!! Glory Glory Hallelujah and Maranatha Everyone! !